James Graham (class of 2014) is the founder and CEO of Community Phone, a small cell carrier based in Boston. Founded on the idea that telecommunications should be about personal connection, the company creates affordable cellphone plans with unlimited, personalized customer support. With support available by phone or in person at the two hubs in Boston and Milwaukee, customers feel comfortable coming in to get help with everything from understanding their bill to learning how to use their smart phones. 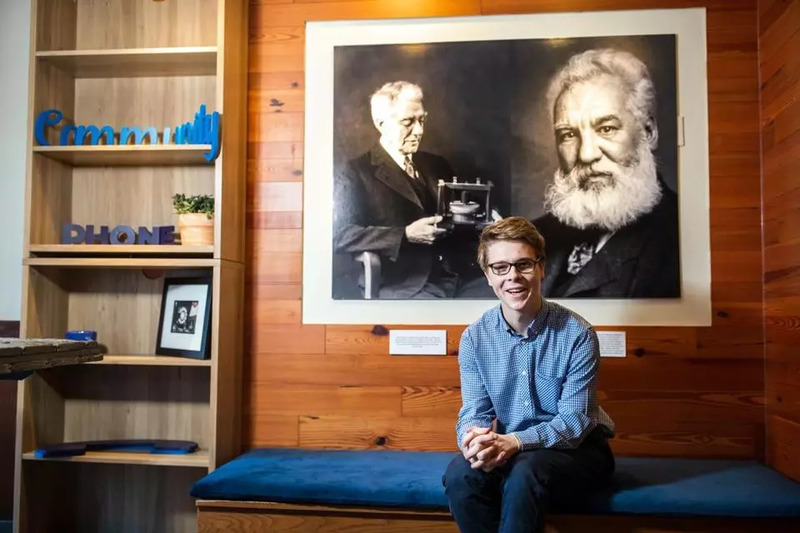 James and his company were recently featured in the Boston Globe. For those of us who were lucky enough to know James at Rock Point School, it is no surprise that his company is on the cutting edge of the business, while still valuing the human connection that is at the heart of communication. In his time at RPS, James formed strong relationships with staff and students, ran in the Burlington City Marathon, played piano, worked as a technology consultant for Sugar Snap Catering, and created cellphone apps in his dorm room. He was an integral part of the community in and out of the classroom. We can't wait to see where James and Community Phone go next.